No VPN is required, as long as PCoIP is not blocked by any networking component. Security servers with PCoIP support run on Windows Server 2008 R2 and take full advantage of the 64-bit architecture. Enhanced USB device compatibility – View 4.6 supports USB redirection for syncing and managing iPhones and iPads with View desktops. This release also includes improvements for using USB scanners, and adds to the list of USB printers that you can use with thin clients. For more information, see the list of View Client resolved issues. Keyboard mapping improvements – Many keyboard-related issues have been fixed. For more information, see the list of View Client resolved issues. New timeout setting for SSO users – With the single-sign-on (SSO) feature, after users authenticate to View Connection Server, they are automatically logged in to their View desktop operating systems. This new timeout setting allows administrators to limit the number of minutes that the SSO feature is valid for. For example, if an administrator sets the time limit to 10 minutes, then 10 minutes after the user authenticates to View Connection Server, the automatic login ability expires. If the user then walks away from the desktop and it becomes inactive, when the user returns, the user is prompted for login credentials. 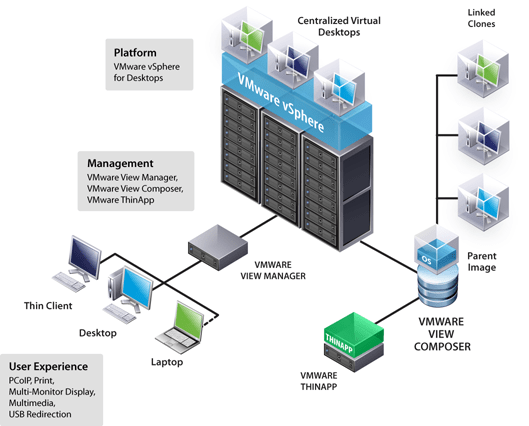 For more information, see the VMware View Administration documentation. VMware View 4.6 includes more than 160 bug fixes – For descriptions of selected resolved issues, see Resolved Issues.